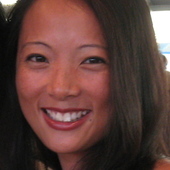 Carolyn Ee has received funding from the National Health and Medical Research Council (Project Grant, Postgraduate Scholarship, Centre for Research Excellence in PCOS) and the RACGP Research Foundation. 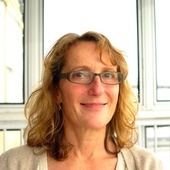 She is Senior Research Fellow at NICM (the National Institute of Complementary Medicine, Western Sydney University). As a medical research institute, NICM receives research grants and donations from foundations, universities, government agencies, individuals and industry. Sponsors and donors provide untied funding for work to advance the vision and mission of the Institute. This article was not undertaken as part of a contractual relationship with any organisation. 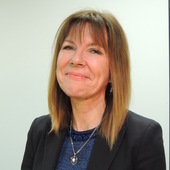 Carolyn Ee has received honoraria as a Member of the GP Advisory Board of the Blackmores Research Institute, is the Chair of the RACGP Integrative Medicine Working Group, and is an integrative medicine practitioner. If you see a female friend or colleague sitting in front of a desk fan in winter while everyone else is shivering in sweaters, chances are she is having a hot flush, courtesy of the menopause. Hot flushes and night sweats are the most common symptoms of the female reproductive milestone. The menopause is often blamed for a host of other symptoms such as insomnia, joint pains, depression and mood swings, vaginal dryness and difficulty concentrating. Hot flushes can last for years and be debilitating, and conventional treatments such as hormone replacement therapy (HRT) and antidepressants come with risks. HRT increases the chance of developing potentially deadly clots in the leg veins; a small increase in breast cancer risk has also been reported. Because of these risks, women may turn to herbal products that are purportedly safer and have fewer side effects. A native American root called black cohosh (Actaea racemosa) is included in many such treatments used for hot flushes. a safe and natural way to help reduce symptoms such as hot flashes and night sweats. Apart from menopausal symptoms, black cohosh is also used to treat arthritis and premenstrual syndrome. It is the main ingredient in the product sold in many pharmacies called Remifemin, which claims to be “one of Germany’s foremost herbal products and is used in more than 25 countries.” But does this herb live up to the marketing? Remifemin’s main ingredient is black cohosh. Native Americans didn’t only use black cohosh to treat female reproductive problems such as “menstrual irregularities”, they also used it for pain, fever and cough. The root is most commonly sold as an extract in capsule form, but can also be taken as a liquid tincture or tea. Commercial formulations vary in dose and form. Although the root and rhizome (the stalk of the root) of the black cohosh plant contain a number of active ingredients, its mechanism of action when it comes to menopausal symptoms remains unclear. It may work by affecting chemical compounds related to female hormone levels (such as oestrogen), but evidence on this is still vague. The evidence for whether or not black cohosh eases hot flushes is unfortunately inconclusive. Some studies show it works, while others don’t. It is important to note that there is often a high placebo effect with hot flush treatments. In 2012, a Cochrane review pulled together results from 16 studies evaluating the effectiveness of black cohosh. There was no difference in the number of weekly, or daily, hot flushes between women who received black cohosh and women who received a placebo. There was also a similar side effect profile between placebo and treatment. However, only three trials were suitable for the side effect analysis. The Cochrane authors were unable to make a definitive conclusion about how effective black cohosh was for menopausal symptoms for a number of reasons. These included design flaws in many of the trials evaluated, differences in the types of herbal extract used, and variation in the way symptoms were reported. Some trials did not report a dose for black cohosh, while the duration of treatment ranged from eight weeks to 12 months. A more recent and well-designed trial of 84 menopausal women in Iran showed those allocated to take a standardised extract of black cohosh (“Cimifugol”) reported an 82% reduction in daily hot flushes, compared to 24% in the placebo group after eight weeks. But when these results were combined with those from previous similar trials in a 2016 meta-analysis, no difference between groups was found. 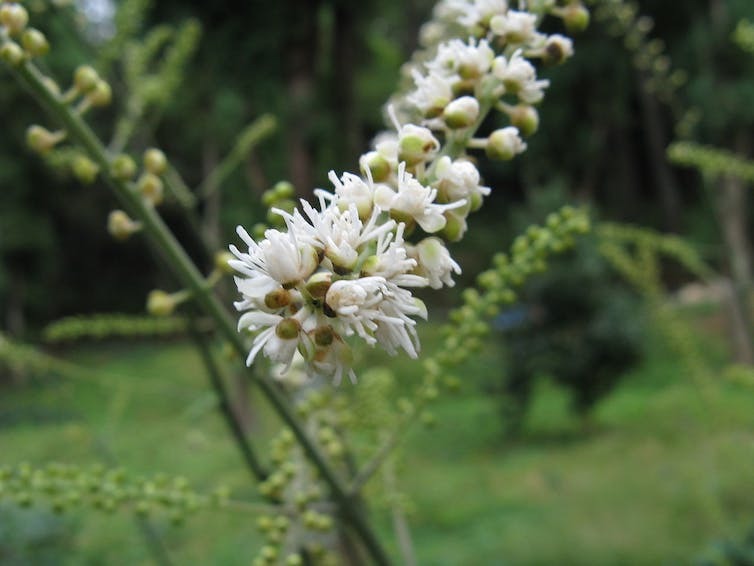 A subsequent 2015 trial in 54 Thai women did not find black cohosh to be effective for menopausal symptoms. However, another small trial reported both subjective and objective improvements in sleep disturbance. A 2008 review was conducted by a US dietary supplements expert committee after around 30 reports of liver failure in patients from the European Union, Canada and Australia (one death was reported), were “potentially associated” with black cohosh. It found the liver toxicity was possibly (but not probably) linked to black cohosh. This means there is a very small risk of liver failure, which is potentially fatal, for those taking black cohosh. Women should seek urgent medical attention if they develop abdominal pain, fatigue, have dark urine or jaundice. It should be noted clinical trials have not reported a link between black cohosh and liver failure, and that the association may be due to other factors affecting liver health (such as alcohol consumption) or lack of quality control in commercial preparations. That is to say, black cohosh has not been proven to cause liver failure. Also, overall side effects from black cohosh are considered rare (one in 14,000 to one in 100,000). In 2015, a large Australian survey of women aged 40 to 65 reported 13% of survey respondents took a complementary medicine for hot flushes. Phytoestrogens (such as red clover and soy isoflavones) were the most popular. There is evidence these may reduce the number of hot flushes by a modest 1.3 flushes a day. Phytoestrogens are considered a relatively safe supplement. Yoga, mindfulness meditation and cognitive behavioural therapies also show promise. Although black cohosh was the fourth most popular complementary therapy used by survey respondents, it was only used by 1.5% of women. Acupuncture was initially thought to be effective for hot flushes, but a large 2016 Australian study reported no difference between real and sham acupuncture. While results on whether black cohosh improves menopausal symptoms are mixed, this is not to say we know for sure black cohosh doesn’t work. Rather, the inconclusive findings reflect some of the problems with complementary medicine research, including the use of varying doses and formulations leading to difficulties making conclusions. Women who use black cohosh should be aware of these uncertainties and of the small risk of liver failure that has been reported. Mosquitoes are the most dangerous animals on the planet. They cause no end of anxiety for people at risk of mosquito-borne disease. With the leap of Zika virus into the international public health spotlight this year, we’re reminded once more how threatening these otherwise fragile insects can be. But a battle rages in Australian backyards each summer that all too often escapes our attention. 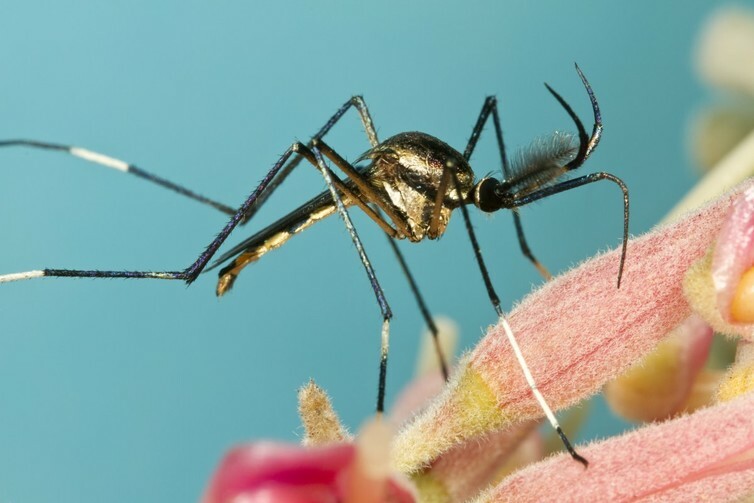 There is a fight between the “good” and “bad” mosquitoes for our pot plant saucers and bird baths, our roof gutters and rainwater tanks – and, most importantly, our blood. Mosquitoes are incredibly adaptable creatures. They’ve adapted to almost every aquatic environment on the planet, from coastal rockpools to snowmelt streams and polluted drains to pristine wetlands – everywhere, in fact, apart from the open ocean. Not only will you find mosquitoes in all of these environments, but you’ll find some mosquitoes specifically adapted to these unique habitats. There is no better example of the adaptability of mosquitoes than in our own backyards. 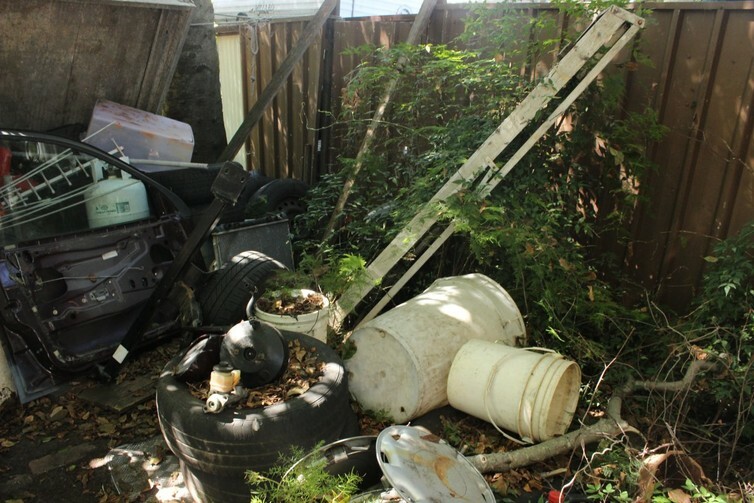 There’s a suite of mosquitoes found in tree holes and water-holding plants. They lay eggs at the edges of the small pools of water collected in the nooks and crannies of trees or in leaf axils (the tiny point where the leaf joins the stem). Some mosquitoes have even adapted to life in pitcher plants. While many of them are still found in these habitats, others have given up the swamps and forests for our suburbs. As people intentionally, or unintentionally, started storing water around the home, mosquitoes took the chance to exploit these unoccupied niches. The plastic takeaway food container, the tyre, the bird bath and rainwater tank have all been embraced by mosquitoes, not only as homes but also as a way to hitchhike from one country to another. 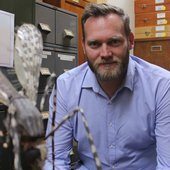 There is little doubt that some mosquitoes arrived in Australia for the first time along with European explorers, their eggs hidden away in the cracks and crevices of water barrels. Mosquitoes have kept coming to Australia by air and sea, hidden as eggs on cargo and personal belongings. The most recent arrival, Aedes albopictus, is a major cause for concern and may influence future mosquito-borne disease risk. However, some “home-grown” mosquitoes are already flourishing in our suburbs. Australia has plenty of native mozzies but Aedes notoscriptus probably bites more Australians than any other mosquito. It is widespread across the country, from Darwin to Hobart and from Brisbane to Perth. We’ve even exported it to California! It is active most of the year, disappearing only in the particularly cold months. It is found in close association with water-filled containers and water-holding plants (particularly bromeliads). The mosquitoes lay eggs around the edge of the water. Then, as water levels rise, the eggs are covered and the larvae (commonly known as “wrigglers”) quickly hatch out. It may then take only a week for adult mosquitoes to emerge from the water. They don’t fly much more than 200 metres from their favourite habitats. So, if you provide a nicely shaded backyard with plenty of water-holding containers, there isn’t much need for them to move on. This mosquito is rarely very abundant but it readily bites people. It tends to be more active in the mid- to late afternoon – perfect timing to disrupt backyard activities in the cooler parts of the day. It has also been implicated in the spread of Ross River virus, so it’s more than just an annoying nuisance. It can even infect our pets with dog heartworm. Pest mosquitoes such as Aedes notoscriptus may be annoying to us, but they’re a delicious treat to one predatory mosquito. Toxorhynchites speciosus is as “good” a mosquito as there can be. First, it is a gorgeous creature. Almost four times the size of a typical mosquito, it is a large dark and shiny mosquito with bright metallic patterns. But they’re not just good-looking. This is one of the few mosquitoes that don’t need blood. 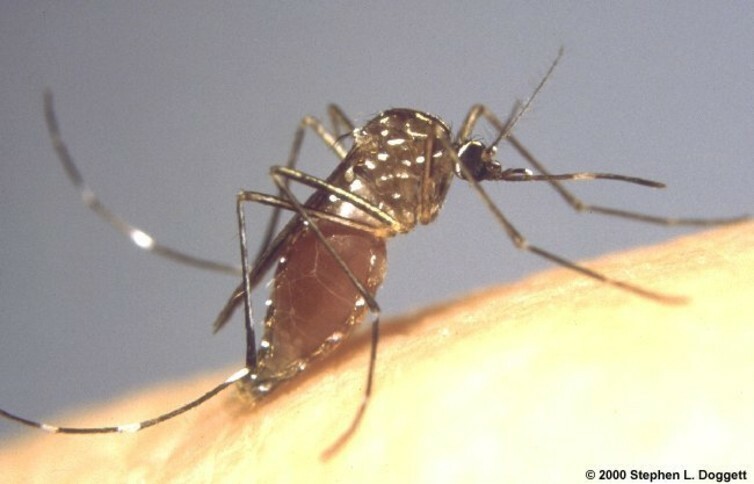 Unlike almost all other mosquitoes, the females of which need blood to develop their eggs, Toxorhynchites speciosus doesn’t bite. It gets its energy from plant juices and nectar. Its long, curved proboscis is a giveaway to its sugar-feeding lifestyles, and is a friendlier visage than the needle-like proboscis of most other mozzies. The good news doesn’t end there. Not only are they not pests themselves but the larvae of Toxorhynchites speciosus are predatory and feed on the wrigglers of other mosquitoes found in water-holding containers. In some parts of the world, a closely related mosquito is used as a biological control agent of the pests that spread dengue, chikungunya and Zika viruses. While Toxorhynchites speciosus will chomp through plenty of wrigglers of Aedes notoscriptus each summer in Australian backyards, it is unlikely to make a huge difference in bites. However, next time you see a “giant mozzie” buzz by, think twice before you squish it. Retaining and understanding medical information. A doctor’s visit can sometimes be stressful. Patients receive large amounts of information at a single medical consultation and even if patients would be medical professionals (which most aren’t) it would be challenging to retain and understand all of the information that your doctor shared with you. Studies have shown the more information presented during a consultation, the more likely a patient will be unable to correctly recall all the information provided. Retaining information from an oncology consultation can be especially difficult. If we have to inform a patient “you have cancer” this sometimes means that some patients are not really able to listen any further. If your doctor then says “we can treat this well, and your chances are excellent”, the patients’ attention span is already exceeded and no further information such as treatment plans can be processed. Sometimes as doctors we have to break bad news and patients with a poorer prognosis have been shown to recall even less information after bad news is delivered. Studies have also shown older people are less able to recall information successfully, with recollection declining with age. Recollection can be affected by the complexity of language used, thus information given in simple terms can supposedly be better remembered. Informed consent refers to the decision-making process where the patient and do ctor engage in a dialogue about the recommended treatment plan, the associated consequences, harms, benefits, risks, and alternative options. Informed consent is important so that the patient can know what to expect during and after treatment. Informed consent is used both in a clinical setting (before an operation) and research settings (to participate in a clinical trial). Patients will be asked to sign a document indicating they have been informed, they do understand and do provide consent for the procedure or for a research trial. Some studies have found that patients are unable to recall or do not understand informed consent processes. Patients may fear questioning or disappointing their doctor, but this is not the case. Whenever possible, bring a family member or a friend along to the consultation. This is another pair of eyes and ears that will help understand better. It also allows you to both discuss the information presented together after the appointment. Sometimes we think about questions to ask. However, on the spot we forget them. Take notes of your questions and bring them with you. Write down the doctors’ answers so that you can review them later. Document your diagnosis, recommended treatment plan, rehabilitation and consequence of no treatment. Ask if you can talk to someone who has undergone similar surgery. At my practice, we can help you get in contact with other patients in a similar situation as you. At the end of the consultation summarise back what you heard during the consultation, and confirm the next steps. Many women experience a range of physical and emotional symptoms before they menstruate. This premenstrual stress, also commonly known as PMS, is often manifested by tension or anger in their relationships. Some women may feel so angry at their partner that they want to leave them. In a study recently published in the journal PLoS ONE, we found a woman’s partner can help decrease PMS symptoms, rather than exacerbating them. Our study showed couples counselling reduced symptoms of moderate to severe premenstrual symptoms and improved relationship satisfaction. Around 40% of women report moderate to severe premenstrual stress in the three to four days before their period. The most common symptoms are irritability, anger and depression, sometimes accompanied by tiredness, back pain and headaches. These symptoms result from a combination of hormonal changes and life stress. Their severity is influenced by the coping strategies women adopt and their relationship context. Women who acknowledge premenstrual change, engage in self-care and ask for support are less likely to experience extreme premenstrual stress. When we interview women who experience PMS, it’s common to hear they are dissatisfied by elements of their relationship – whether it is the emotional support they receive at home, or the dishes left in the sink at the end of the day. For women who suffer from moderate to severe premenstrual stress, these issues can be left to simmer for three weeks of every month, when they are able to be repressed or ignored. But during that one week, when women feel more sensitive or vulnerable, it can all become too much. The pent-up anger and resentment finally reach boiling point and women feel they are no longer in control. This can lead to significant distress and relationship tension. We already know that one-on-one therapy can reduce symptoms of premenstrual stress. The focus is on helping the woman understand the origins of her symptoms and develop coping strategies. These might include taking time-out for self-care, avoiding conflict, expressing needs for support, and reducing life stress. While medical treatment, such as antidepressant SSRIs (selective serotonin re-uptake inhibitors), can be used to help women deal with premenstrual stress, psychological therapy is more effective in the long term. It also works in a self-help version, where women read about coping with PMS in a written manual, rather than talking to a therapist. While therapy for premenstrual stress considers relationship issues, partners have generally not been directly involved in the sessions. This is a serious omission. Many men say they don’t understand PMS. They want to support their partner but don’t know what to do. Others may avoid their partners when they have symptoms, which makes the woman feel rejected and makes the premenstrual stress worse. 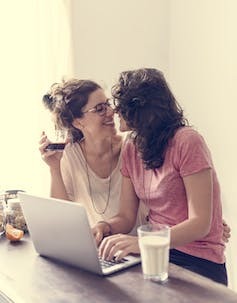 Women in lesbian relationships have reported greater premenstrual support and understanding from their partner. This kind of support is associated with reduced symptoms and improved coping. Male partners who are supportive can have a similar positive effect. In our latest study, we compared the impacts of one-on-one and couples therapy for premenstrual distress with a control group of people on the wait list for therapy. The results indicate couple-based therapy was the most effective in improving relationships and alleviating premenstrual distress. The study, which lasted for three years, involved 83 women who suffered from moderate to severe PMS. They were randomly divided into three groups: a one-on-one therapy group, a couples therapy group and a waiting list group. Most (95%) were in heterosexual relationships. Women in the two therapy groups reported lower premenstrual symptoms, emotional reactions and premenstrual distress, in comparison to the wait-list control group. This confirms therapy is effective, regardless of the type. However, the women in the couples-therapy group had significantly better behavioural coping strategies than those in the one-on-one therapy and wait-list control groups. In the couples-therapy group, 58% of women reported increased self-care and coping. This compared to 26% in the one-on-one, and 9% in the wait-list group. Most women in the couples-therapy group (57%) reported an improved relationship with their partner. This was compared with 26% in the one-on-one therapy group and 5% of the wait-list reporting improvement. In the couples-therapy group, 84% of women reported increased partner awareness and understanding of PMS, compared with 39% in the one-on-one therapy group and 19% in the wait-list group. Following therapy sessions, women report they are less likely to “lose control” when expressing their feelings during times of PMS. They have increased awareness of the potential for relationship conflict; describe relationship tension as less problematic; and are more likely to talk to their partner about PMS and ask for support. These improvements were evident in both therapy groups in our study. This suggests that even if women do therapy without their partner, it can still have a positive impact. The women will still learn self-care and coping strategies, develop a better understanding of PMS, and go home and tell their partner about the experiences in therapy. However, the results of this study clearly indicate that the greatest positive impact is seen when a woman’s partner participates in the therapy sessions as well. So men may feel maligned by being “blamed” for PMS. But they can be part of the solution, rather than the cause of the problem. Manuka honey could prevent serious urinary tract infections caused by catheters – tubes used to drain patients’ bladders, new laboratory research has found. The research showed honey from New Zealand’s manuka plant slows the speed of bacterial growth and formation of biofilms, which are thin layers that build up on surfaces and harbour infection. The investigators used the findings, published in the Journal of Clinical Pathology, to suggest flushing diluted manuka honey through the catheter may help prevent urinary tract infections. Urinary tract infections can be life-threatening. They account for 40% of hospital-acquired infections, while catheter-associated urinary tract infections make up 80% of this group. But the researchers stressed this study was performed in a laboratory. Significantly more testing was needed before the honey could be used to treat infections in humans. The director of the infectious diseases and microbiology department at Austin Health, Lindsay Grayson, said the research was a “quirky” take on the role honey could play. Manuka honey’s antimicrobial effects are well understood, but Professor Grayson, who was not involved in the study, said it was interesting because not much was known about its effect on biofilm. “Biofilms are critical because these bugs form this slimy layer and then they’re able to live quite comfortably in a dormant or semi-dormant state,” he said. Professor Grayson said the biofilm protected bacteria and delivering antibiotics through it to treat infection was difficult. 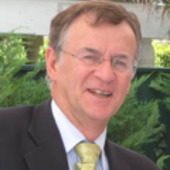 Australian National University professor of infectious diseases Peter Collignon, who was also not involved in the study, said research that looked at ways of controlling infections other than using antibiotics was a good idea. But he said this study was limited in its practical application. The latest research only assessed formation of biofilm and bacterial growth, not whether using honey allowed antibiotics to penetrate the biofilm more effectively. Researchers added various concentrations of manuka honey diluted in distilled water to laboratory growth plates containing two bacteria known to cause urinary infections and incubated them for 24, 48 and 72 hours. They then compared the growth of biofilms in each of the plates to control plates that had bacteria but no manuka honey. “The further research that needs to be done is to see whether this actually works for what is proposed,” Professor Collignon said. 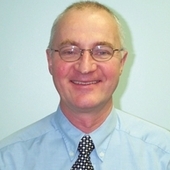 Properly controlled clinical trials are needed to avoid the risk that laboratory data could be misinterpreted in the real world and that patients could be given false hope, said Professor Collignon. “I think the major risk is maybe people being taken advantage of financially because it [manuka honey] is relatively expensive compared to other substances,” he said. Professor Grayson said he was concerned about the lack of safety data for using diluted honey, either on catheters or in flushing the bladder, because it could be an irritant. “If honey contacting the bladder wall did cause cellular irritation and inflammation, then that in and of itself sets up a higher risk of infection,” he said. Knowing what to expect – and remembering that nothing you say will shock or embarrass us – will help make your next sexual health check more comfortable. 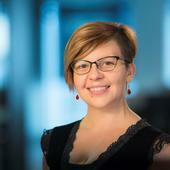 Alexandra Barratt receives funding from NHMRC. 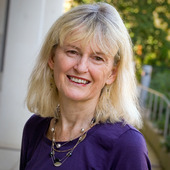 She is a member of the Public Health Association of Australia, and of the Australasian Epidemiological Association. It’s easy to assume the earlier women are screened for breast cancer, the better. And a recent US study, which found screening women with mammography from the age of 40 saved the most lives, generated headlines around the world. We need to be cautious, however, when interpreting studies like this and the media reports they create. That’s because with screening, its benefits – less risk of dying of cancer – are clear, and are easily exaggerated. But the potential harms of screening are harder to recognise and readily overlooked. The recent US study compared an intensive screening strategy (strategy a) of annual mammograms for women starting at age 40 all the way to 84 years of age, with two less-intensive screening strategies. Strategy b) offered annual mammograms from 45-54 years, then every two years until age 79. Strategy c) offered mammograms every two years from 50-74, the same screening policy we have in Australia. Strategy a) has become known in the media as “screening from age 40” but it is really screening more often, and until an older age (when breast cancer is more common), as well as starting earlier. It prevented the most deaths, according to the modelling. But at what “price”? By screening longer and more often, the more intensive strategy a) required women to have three times as many mammograms. It caused three times as many false positives or false alarms (when women didn’t end up having a breast cancer despite an abnormal mammogram), as the least intensive strategy c). In a major omission, the authors did not address potential harms of overdiagnosis and overtreatment (more below). So what questions do you need to consider when reading reports about studies like this? Three specialist radiologists and a medical physicist, all employed by departments of imaging or radiology, authored this study. Screening mammography in the US is big business. The total annual cost of screening mammography there was estimated to be US$7.8 billion in 2010. So, why should we be concerned? Because previous research has found financial conflicts of interest increase the risk of bias, and lead committees towards recommendations that are more favourable towards mammography screening. Non-financial conflicts of interest can also affect recommendations. Guideline panels with radiologist members are more likely to recommend screening for women from age 40 years than recommendations issued by panels without radiologist members. A mammogram may seem harmless, but it can cause long-term problems that many people would never think of. An important one is finding harmless, idle or dormant cancers, a major factor in overdiagnosis. Overdiagnosis is common not just in breast cancer, but in screening for prostate, thyroid and lung cancer. How common? When a UK panel carried out an independent assessment of the benefit and harms of screening mammography, it found the chance of a woman being overdiagnosed by screening was three times greater than the chance screening would save her from dying of breast cancer. Even the chief medical officer of the American Cancer Society urges accepting overdiagnosis and overtreatment as harms of breast cancer screening. Yet the authors of this latest US study didn’t consider overdiagnosis and overtreatment when concluding annual screening from age 40-84 years is best. Overdiagnosis is important because it isn’t a good idea to have cancer treatments (surgery, radiotherapy and antihormone pills) for a harmless cancer (overtreatment). Each of these treatments comes with risks of side-effects, as UK woman Elizabeth Dawson describes in her blog. Two and a half years after starting treatment she was still wondering whether the cancer that was found by screening was overdiagnosed or not, and whether she needed all, or even any, of the treatments she’d had. She hates that the drugs she’s still taking to prevent a recurrence make her bones frailer. She’s been told not to go out when it’s icy because she might fall and fracture, but she hates the idea of being housebound at 56 when she feels so well and active. The US study did include false positives in its calculations, but may not have recognised fully the impact. Being recalled for an abnormal mammography is scary. But what is less well known is that even three years after being declared free of suspected cancer, women with false positives consistently report worse psychosocial outcomes; they report feeling more dejected and more anxious, and report worse sleep and negative impacts on sexuality than women with normal mammograms. Mammography uses radiation, so there’s a small chance the screening process itself may induce cancers over time. But starting screening from 50 and screening every two years is estimated to reduce the number of induced cancers five-fold compared to annual screening from age 40. The US has a very different health-care context to Australia. In the US, mammography screening costs are paid by many different organisations. So debates over recommendations may have implications for whether health plan organisations cover services or not. 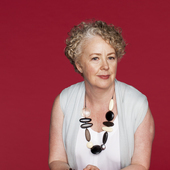 In contrast, as part of our national cancer screening programs, BreastScreen Australia provides mammograms in a national, publicly funded program that offers high-quality screening to eligible women, for free. The health-care context is also relevant when we consider an individual woman’s risk of breast cancer. This debate (about when to start screening and how often) is relevant to women at average risk of breast cancer. For women with a strong family history, or who know they carry a breast cancer genetic mutation, screening more intensively offers greater benefits. So which strategy really is best? The ultimate aim of screening is to reduce deaths from breast cancer. Yet, whichever screening strategy we use, screening is not 100% effective. It probably reduces the risk of dying from breast cancer by about 20%, at most by 40%, and perhaps as little as only a few percent. So we must balance this limited benefit with a clearer picture of harms like overdiagnosis and overtreatment to avoid tipping over into net harm. 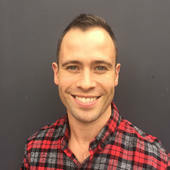 Simon Lockrey has conducted numerous funded streamlined and full peer reviewed ISO14040 compliant LCAs for industry and government as a Research Fellow at RMIT Centre for Design/ Centre for Design and Society. He has not conducted any funded LCAs for organisations in this article. 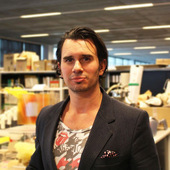 Simon previously worked for Dyson designing vacuum cleaners, rather than hand dryers. Several recent studies independently peer reviewed by experts, such as this one, this one from Massachusetts Institute of Technology (MIT), and this one I conducted in 2011, have compared several high speed dryers to paper towels and conventional electrical hand dryers. In view of the importance of this issue, and the ambivalence of some of you to this issue, I think the article below may be of interest to some of you. No correspondence will be entered into , and I have always respected everybody’s views on the topic, and will continue to do so.